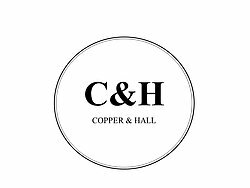 Copper & Hall is a husband and wife start up company based in Kent specialising in copper pipe artwork. 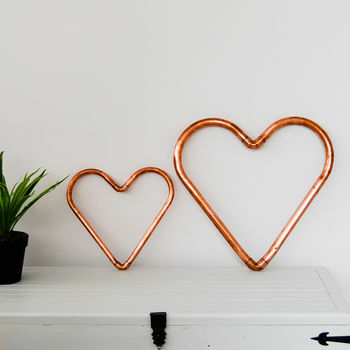 It started on Valentine's day a number of years ago when Chris made a heart out of copper pipe as a Valentine gift for his wife. Since then Chris has made other pieces for friends and family. 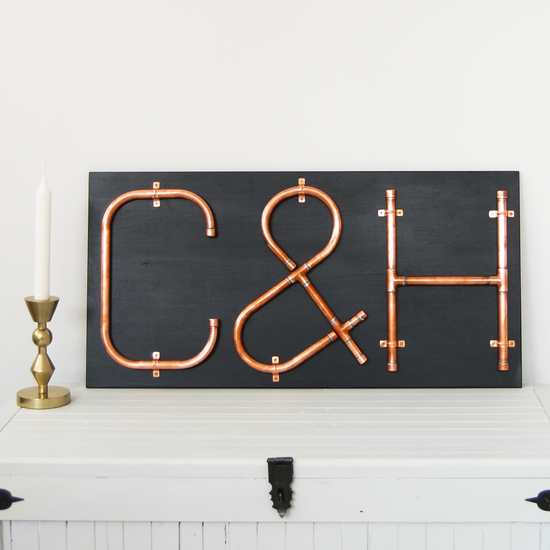 The product range for now includes personalised plaques, stand alone or wall mounted letters and symbols, all hand made out of industrial grade copper pipe and fittings. Every one of our products is cut, bend and soldered by us in our Kent workshop. 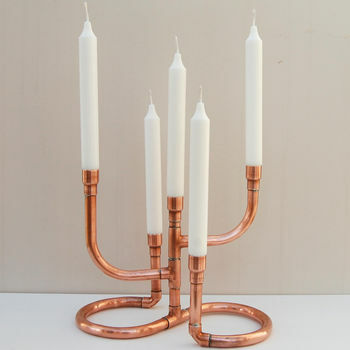 Please take a look at our unique products and if you have any questions please get in touch via the 'ask the seller a question' button. 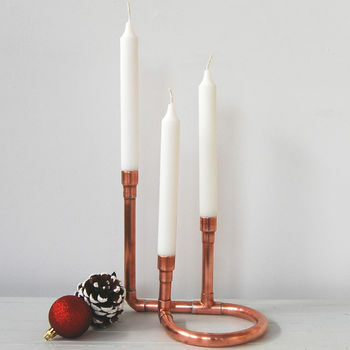 "Love the candle holder - looks really good"
"The candle holder was lovely and as expected and arrived just before Christmas so I was extremely pleased." "Absolutely love this. It seemed smaller than expected, but gorgeous on the less! Really good quality x"